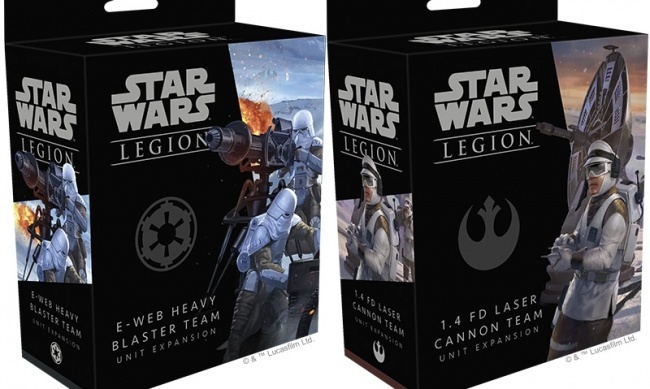 Two more expansion sets have been announced for Fantasy Flight Games’ Star Wars: Legion miniatures game: The E-Web Heavy Blaster Team Unit Expansion and the 1.4 FD Laser Cannon Team Unit Expansion. Both sets will be released in Q3. 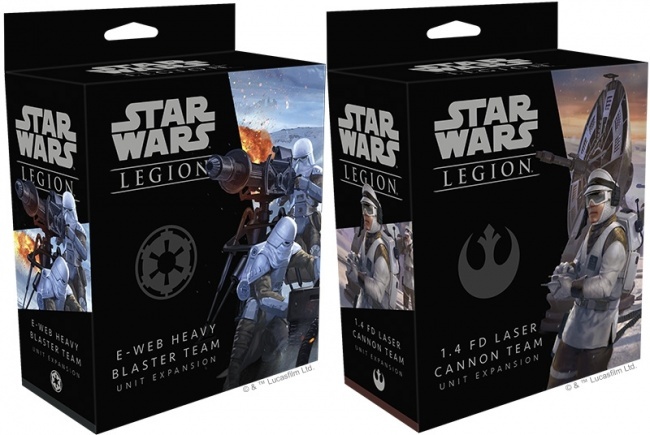 The E-Web Heavy Blaster Team offers fire support for the Imperial stormtroopers. While very slow moving, this team has the most powerful weapon in the imperial arsenal to date aside from the AT-ST walker, and it is perfect for laying down covering fire or defending a fixed position. 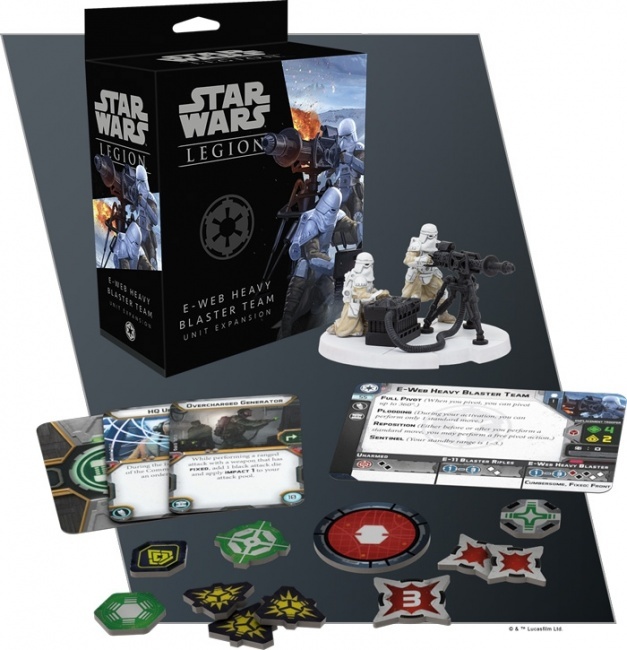 This Unit Expansion includes 1 unpainted and unassembled heavy blaster team, including the blaster, power generator, and 2 Snowtroopers, along with 3 upgrade cards for customization options. MSRP is $19.95. The Rebel Alliance gets access to their own heavy weapon with the 1.4 FD Laser Cannon Team. This long-range weapon system has enough power to punch through the heavy armor Imperial troops often wear, but as a stationary installation, it cannot maneuver during a battle. This Unit Expansion comes with 1 unpainted and unassembled cannon with power supply and two crewmen, plus 3 upgrade cards. MSRP is $19.95. 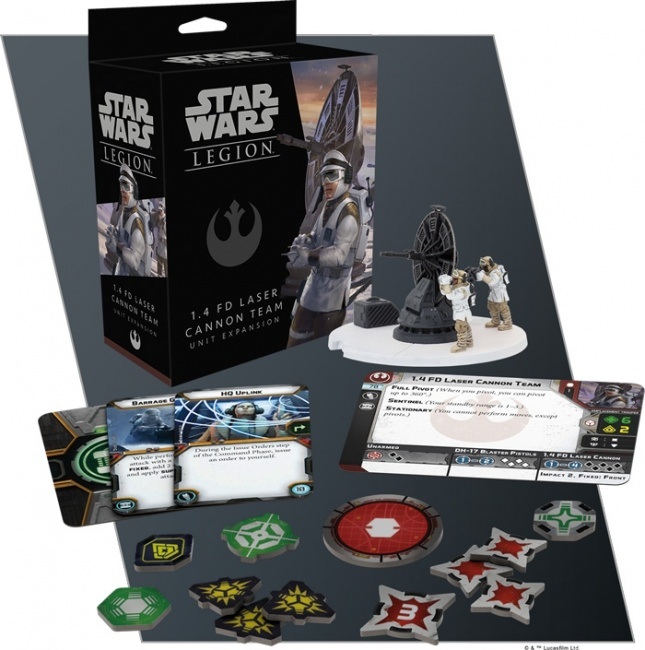 Han Solo and the Rebel Commandos also join the game in Q3 (see “Han Solo, Rebel Commandos Join ‘Legion’”).